Congratulations on your engagement! If you’re looking for the best possible engagement photo ideas, then you’ve come to the right place. 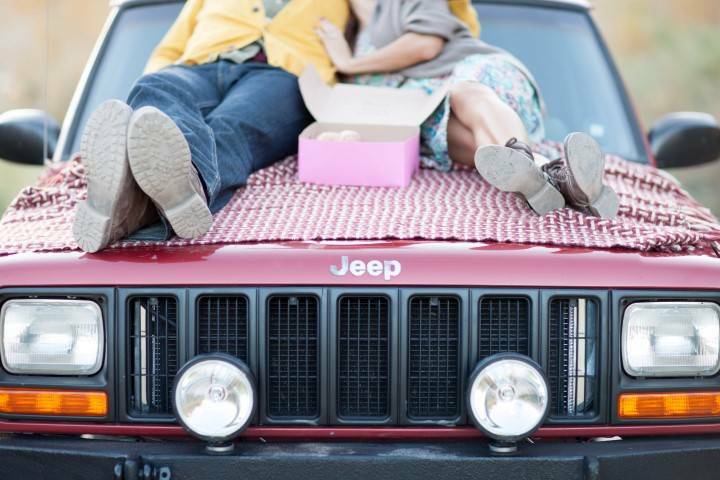 We absolutely love the following spring engagement photo ideas. Use them for inspiration as you decide on your own engagement photos. 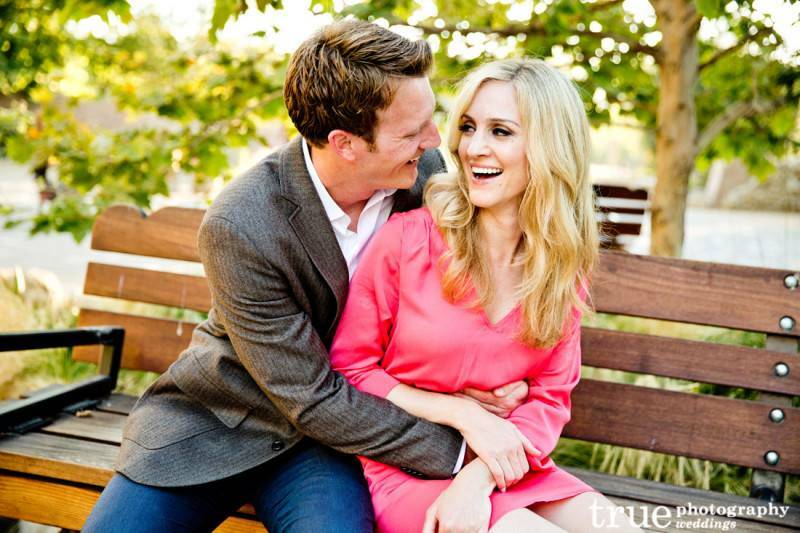 We think this engagement photo, which doesn’t even show the faces of the future bride and groom, is adorable! They’re having what looks like an impromptu donut break on the hood of their vehicle. This couple looks like they are on a spring morning walk, and we love how the future bride looks simply ecstatic. It’s sweet and sentimental. 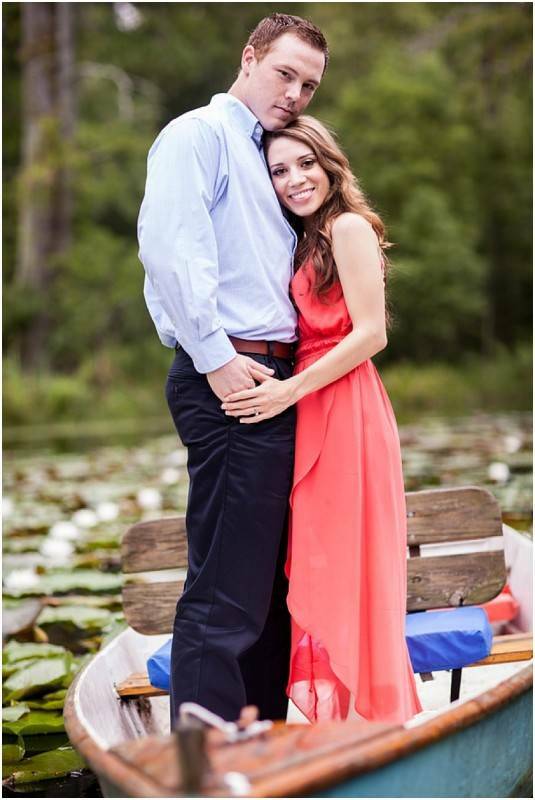 This beautiful photo features the couple standing in a boat. 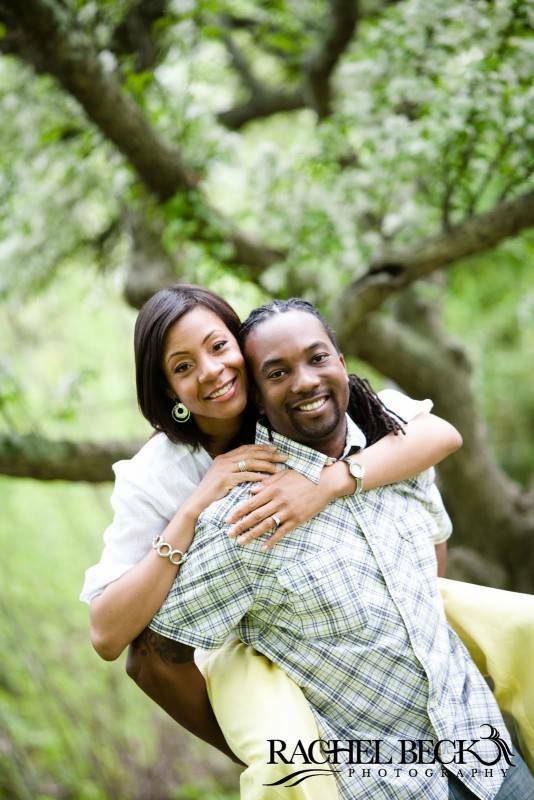 We love the beautiful green trees in the background, and the simple hugging pose. We love how candid this shot looks, like the couple is enjoying a goofy moment together, unaware that the photographer is capturing them. They are seated on a bench with the beautiful greenery visible in the background. What is cuter than a piggyback ride from the man of your dreams? This is a simple but super cute engagement photo that would work perfectly for wedding announcements or save the date cards. Perhaps our favorite of the bunch, this photo captures a sweet and sentimental moment between the future bride and groom. We love the sun-washed quality of the photo and how the engagement ring is visible. This one is truly beautiful. Which one of these shots is your favorite? 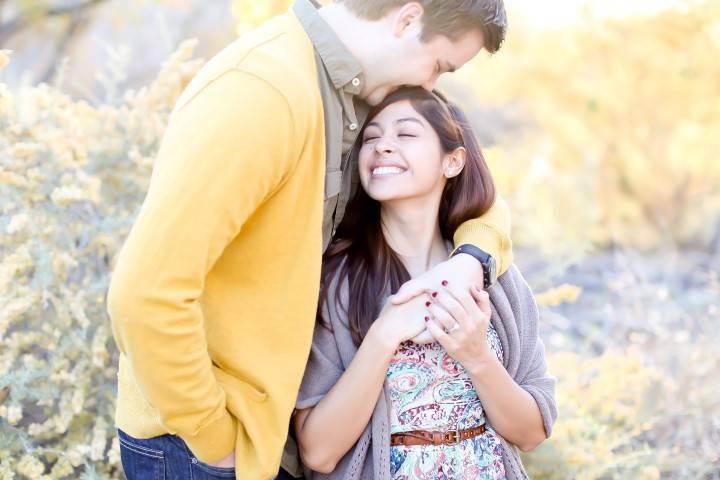 Have you gotten any ideas for your own engagement photos from checking out this post? Let us know in the comments below!